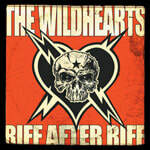 The UK-based Wildhearts formed in late 1989 and commenced writing some of the best melodic rock the UK had ever heard. The band was very volatile, and became known not only for their power guitar performances but also for creating mayhem for un-supportive journalists and continuous line up changes and breakups. Gearhead met up with the band in 2003 and in the spring of 2004 released The Wildhearts’ first US release since their 1994 record Earth Vs. The Wildhearts. The Gearhead release Riff After Riff collected together many of their UK hit singles into one package in order to reintroduce the band to the US market. In March of 2004, the band headed out on a national tour opening for The Darkness, and again later that year, they repeated the tour opening for The Darkness across the US. Shortly after the last tour, The Wildhearts called it quits once again. The band’s enduring legacy of mixing beefy metal-style guitar with stadium style rock melodies has earned them a very dedicated worldwide following throughout their long career. The band has reformed yet again, and is currently touring extensively in Europe.